It hasn't snowed here and I'm really bummed about it. I'm sure those of you in snowbound areas are not feeling sorry for me, but I really love the cold and snow! I always have, my whole life. I also like snowflakes (the shape), especially in crafting. It's a simple and often times modern shape. 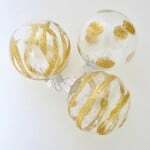 Or you can go whimsical with them, like these faux stained glass snowflakes from Meg. Pretty, aren't they? 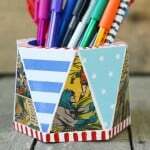 The process of making them is really ingenious and pretty cool, and you can even get kids in on the action. 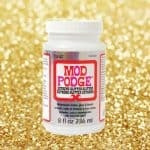 Just don't run out of Mod Podge, because you are going to want to make 100. Maybe more. Learn how below. Cute Amy! I wish it was snowing here too… not in SC!